Nothing has bothered me more about Windows 10 than when I come back to my laptop from the gym to find all the tabs I had open lost to a reboot. Out of the box, Windows 10 will reboot once an update is installed… this leads to me having to scan my browsing history trying to find all the tabs I had open or have Microsoft Office prompt me to restore a file I had open and not saved recently. At least this is one annoyance that is very easy to fix. 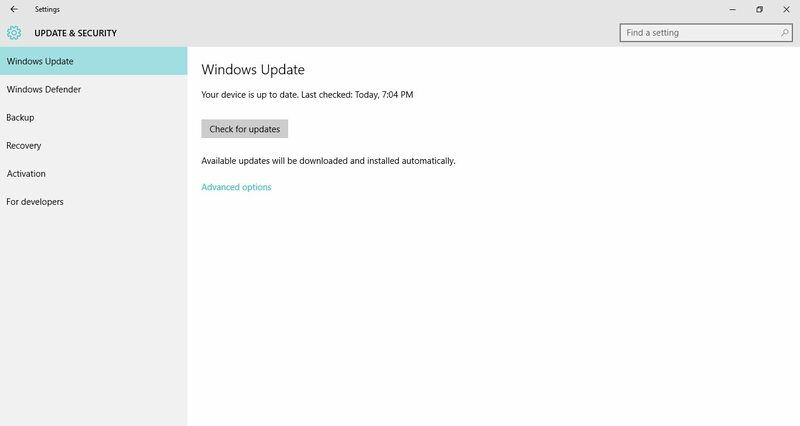 All you have to do is configure Windows Update to notify you of a pending restart before it happens. With a simple configuration change; when updates are installed, Windows will ask me to reboot instead of forcing one on me. 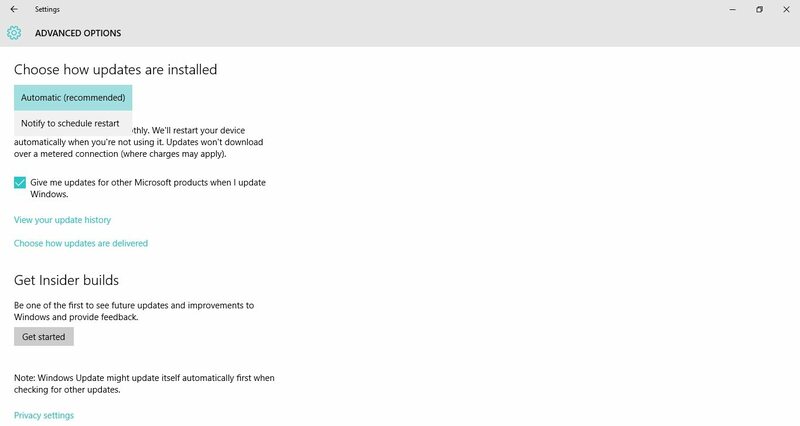 Type Update in “Search the web and Windows”, that should return a bunch of stuff, select Windows Update Settings. 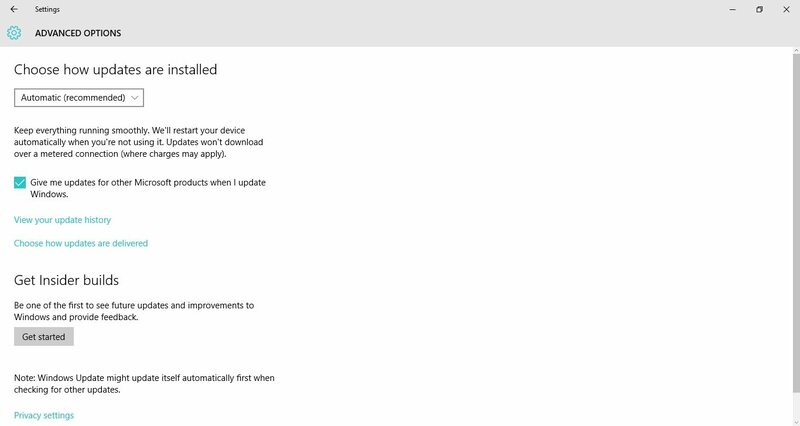 Another way to get there is to open the Start menu, click Settings, choose Update & Security, and click on Windows Update. 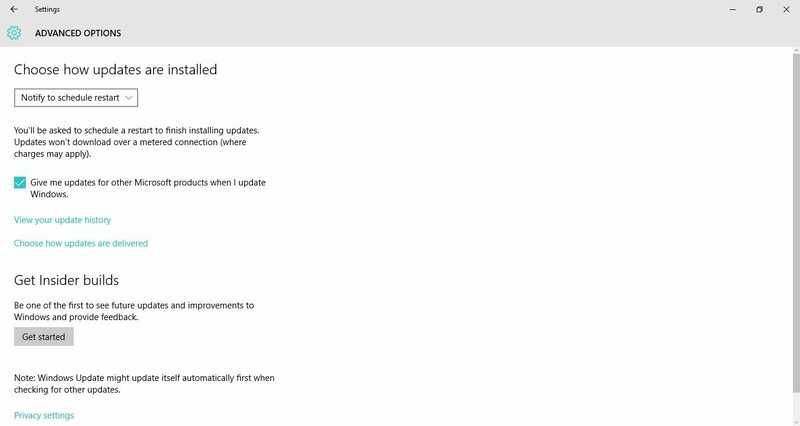 Once you have arrived at the Windows Update configuration, click Advanced Options. The very first item you should see should be a drop-down with the item Automatic (recommended) selected by default. Change this to Notify to Schedule Restart.